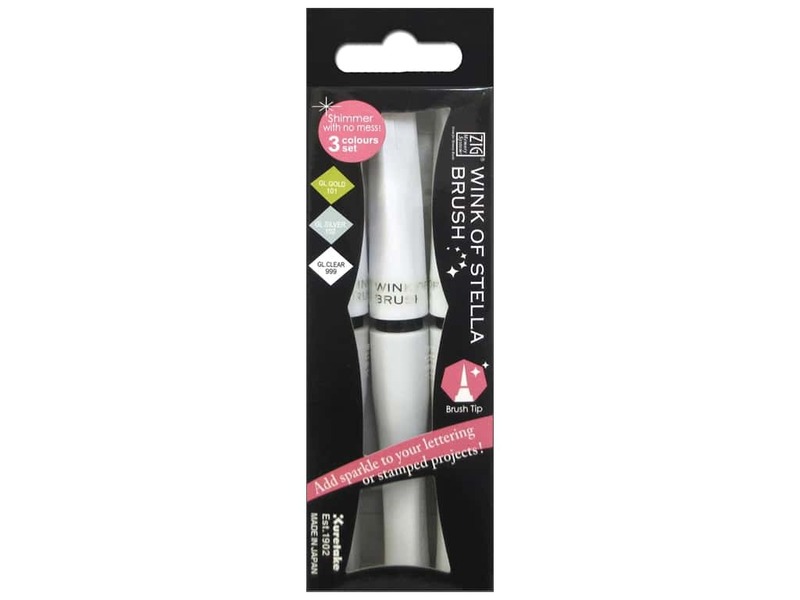 Description: Zig Wink of Stella Pens are perfect for writing and adding controlled glitter dust ink to any projects including your stamp works. The nylon brush tip produces thick and thin lines, depending on pressure, allowing artistic freedom. Can be added over other dry marker ink to add a touch of shimmer. Water-based pigment is archival quality, acid free, light fast, odorless, and xylene-free. Please note that this is NOT a cosmetic product and should not be applied to the body. Keep out of reach of children. Read other warnings on back of package. Set Glitter Christmas Sparkle 3pc- Colors include; Gold, Silver, and Clear. See more Zig Wink of Stella Pen Glitter.